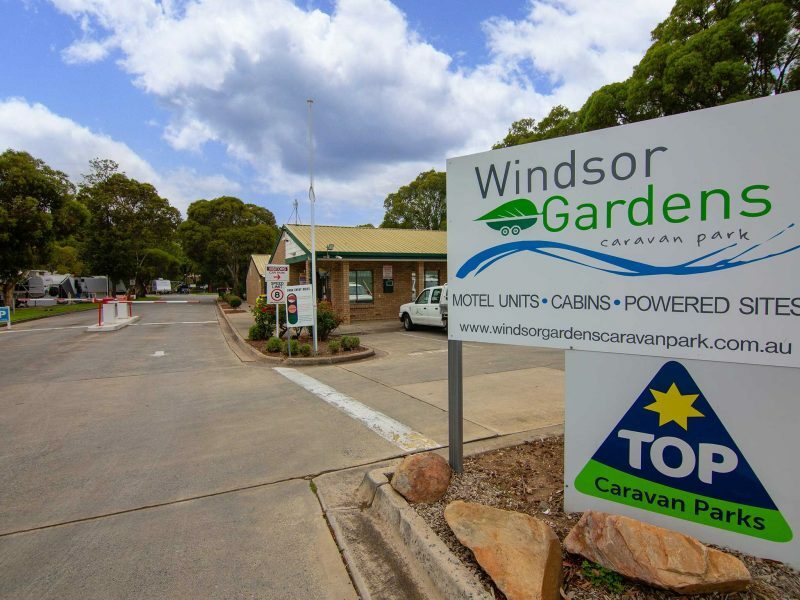 Welcome to your relaxing stay at the Windsor Gardens Caravan Park – right on the banks of the River Torrens! This cabin is perfect for families, featuring two bedrooms, with one queen bed and two bunk beds. Our cabins are positioned adjacent to the Torrens Linear Park walking trail and are only a stone’s throw away from the River Torrens. Each cabin features an ensuite, fully-equipped kitchen, dining and lounge areas, car park, reverse cycle air conditioner, sofa and TV with DVD player. Perfectly sized for a holiday or short stay visit. Sorry, no pets. 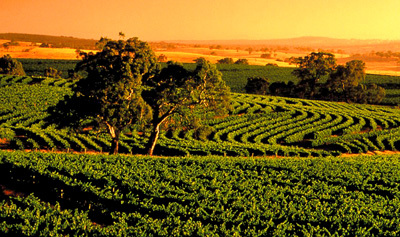 Visit our website to find out more or call us on (08) 8261 1091 and speak to one of our friendly staff. These Ensuite Cabins feature a queen bed that can be split into two single beds. Our cabins are positioned adjacent to the Torrens Linear Park walking trail and are only a stone’s throw away from the River Torrens. Each cabin features an ensuite, fully-equipped kitchen, dining and lounge areas, car park, reverse cycle air conditioner, sofa and TV with DVD player. Perfectly sized for a holiday or short stay visit. Sorry, no pets. Visit our website to find out more or call us and speak to one of our friendly staff. These Standard Double Cabins features two bedrooms, one queen bed and another queen bed that can be split into two singles. 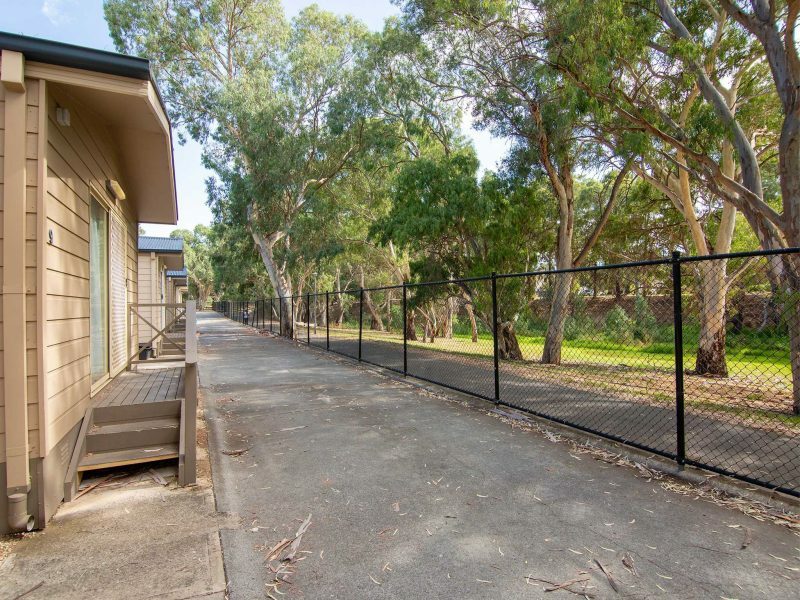 Our cabins are positioned adjacent to the Torrens Linear Park walking trail and are only a stone’s throw away from the River Torrens. Each cabin features an ensuite, fully-equipped kitchen, dining and lounge areas, car park, reverse cycle air conditioner, sofa and TV with DVD player. 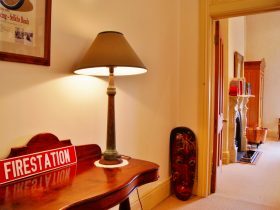 Perfectly sized for a holiday or short stay visit. Sorry, no pets. Visit our website to find out more or call us and speak to one of our friendly staff. 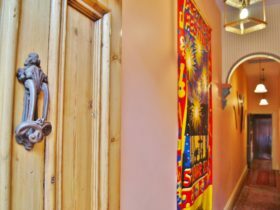 Our standard Twin Budget Units features two single beds, toilet and shower ensuite, air conditioning, TV with DVD player, small refrigerator and tea and coffee supplies. Budget Unit guests have access to our fully equipped shared Park kitchen, undercover BBQ area and laundry room. Sorry, no pets. Visit our website to find out more or call us and speak to one of our friendly staff. 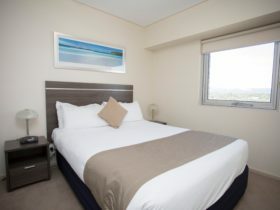 Our standard Double Budget Units features a queen bed, toilet and shower ensuite, air conditioning, TV with DVD player, small refrigerator and tea and coffee supplies. 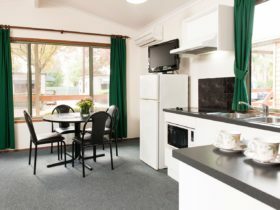 Budget Unit guests have access to our fully equipped shared Park kitchen, undercover BBQ area and laundry room. Sorry, no pets. Visit our website to find out more or call us and speak to one of our friendly staff. So you’re looking for a great spot to stay with your caravan, camper van, camper trailer, motor home or 5th wheeler? Like to be guided on site? 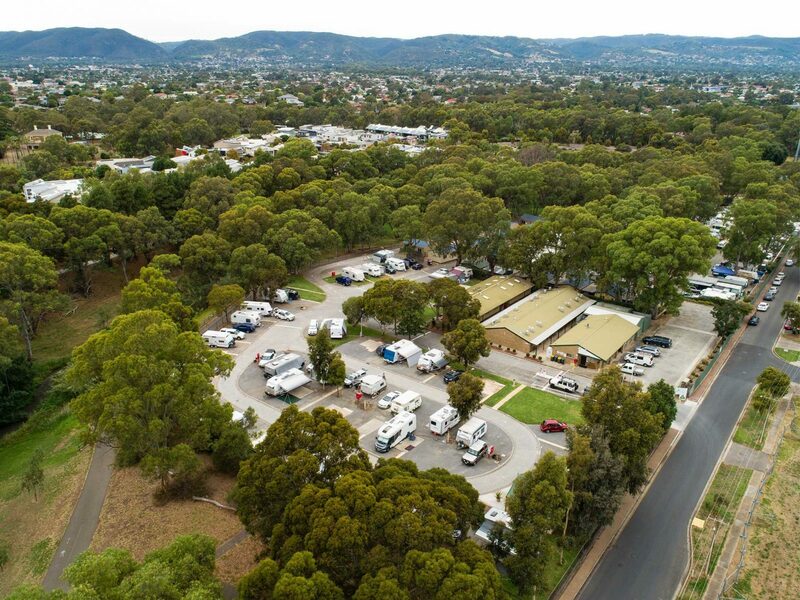 Here at Windsor Gardens Caravan Park one of our friendly staff will assist you to put your caravan or vehicle onsite, with most of our Powered Sites offering shade and concrete slabs. Additionally we have a number of sites that can accommodate larger vans and even 5th wheelers (advanced bookings essential). Our large, clean and well-maintained amenities block, laundry facilities, free barbeque area and kiosk are all centrally located, so you’ll never be more than a short walk away from all you’ll need. Pets are welcomed at our park on these sites, (however we do ask that all pets are not left unattended and are kept on a leash at all times). You’ll find the Torrens Linear Park has an excellent walking trail for you and your dog to take a pleasant stroll alongside the meandering River Torrens. Visit our website to find out more or call us and speak to one of our friendly staff. Prices for accommodation range from Powered Sites to Ensuite Cabins.